List of Vatican City newspapers, magazines, and news sites featuring sports, entertainments, history, jobs, education, festivals, tourism, lifestyles, travel, fashion, and business. The newspaper published in nine different languages, daily newspaper in Italian, Weekly in English, French, Spanish, Portuguese, German, Malayalam and Monthly in Polish. The newspaper distributed over 129 countries. 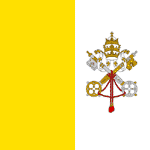 The newspaper was founded in Rome on 1 July 1861 and owned by the Holy See.